Researchers from the Bringham and Women’s Hospital in Boston performed the first ever transplantation using 3D printing. The study was led by Dr. Frank J. Rybicki, Dr. Bohdan Pomahac and Dr. Amir Imanzadeh and they used 3D printed models of the recipient’s head to guide the planning of the transplantation surgery. Face transplantation is a complex surgical procedure and the success largely depends on surgical planning. Using models produced by 3D medical printers allows surgeons to hold the model of the recipient’s skull in their hands so that they can have a better and more accurate view on how to proceed with the surgery. Using computed tomography (CT) scans and 3D visualization techniques, life-size models of the patient’s skull was created. To do this, the CT images of the head were also segmented and processed using a state-of-the-art software to create accurate data files that will be sent to the 3D printer. 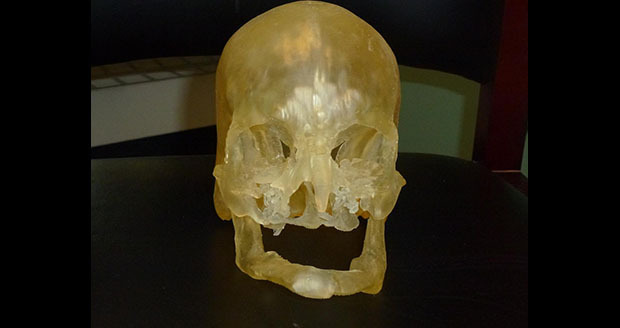 The proponents of the study noted that 3D printing is a very helpful tool in helping surgeons rebuild the facial structures of the patient because they have a more precise picture on what to expect during the actual transplantation itself. On the other hand, if the patient has missing bony structures that are needed for the reconstruction, the 3D printing technology can easily make the modifications before the actual surgery. This makes allows doctors to save more time and effort during the surgery. 3D medical printing has become a mainstay technology in the field of medical science and it has helped doctors spend less time in the operating room but better performance for patient outcomes.